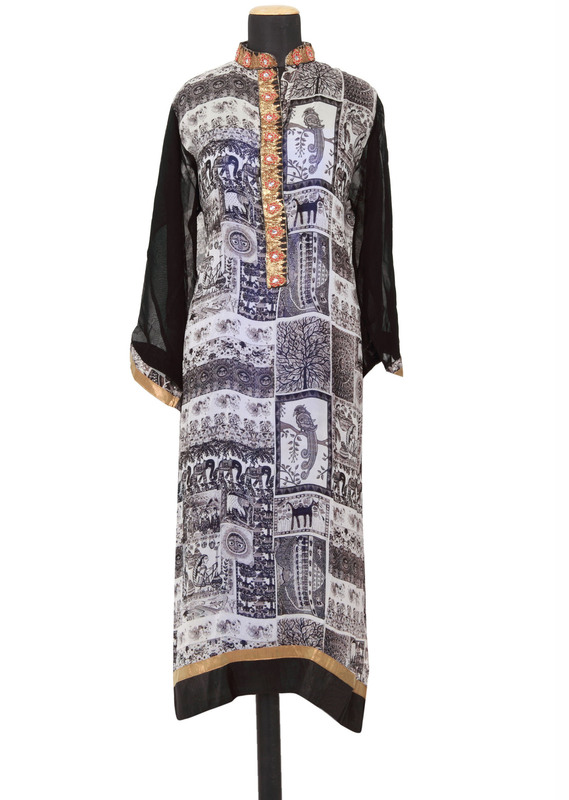 Featuring a black and white printed straight fit semi-stitched salwar-kameez. The sleeves are in black georgette with enhanced cuff in bronze lurex. 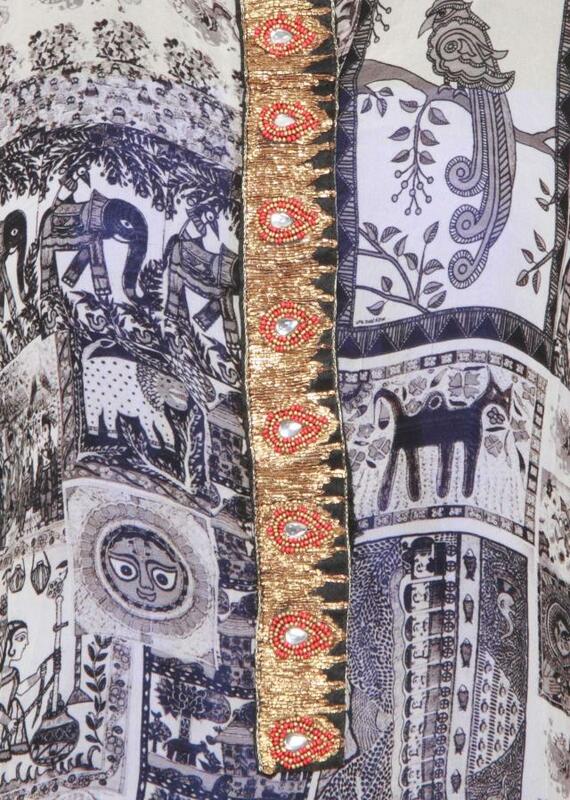 Chinese collar neckline and placket is embellished in zardosi and motti. 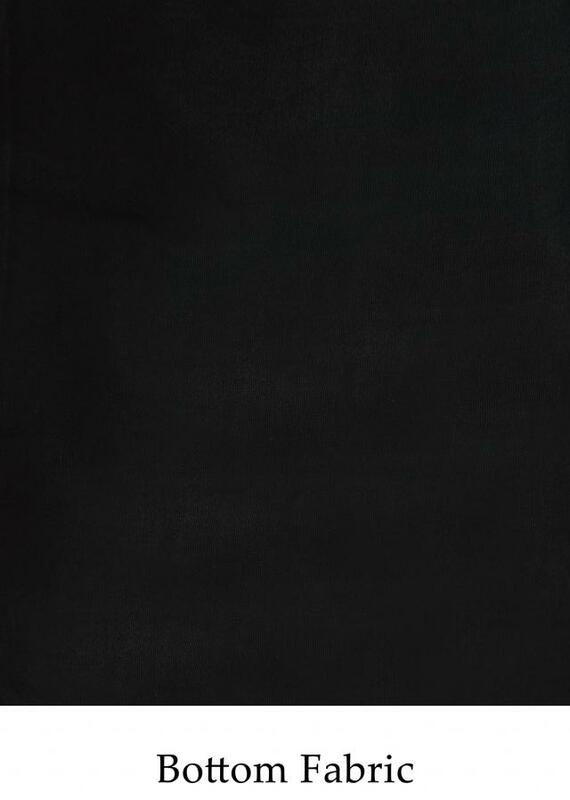 Border is in black and bronze lurex. 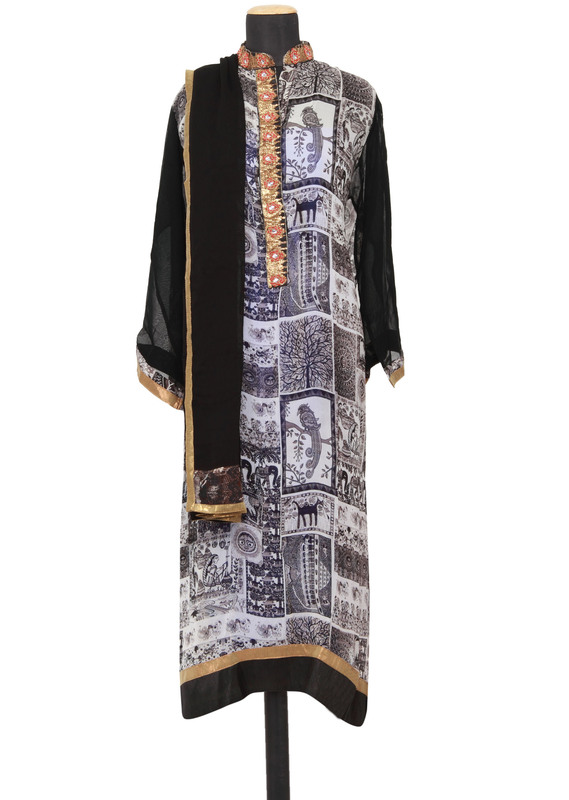 It comes with black santoon unstitched fabric. Dupatta is in black georgette with emhanced border in printed and bronze lurex.